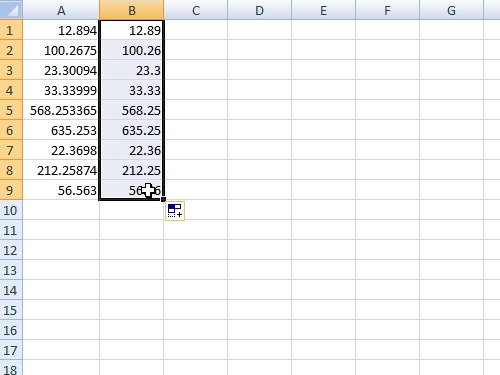 In this video tutorial we will show you how to truncate excel data. In order to use truncate function in excel, open your excel document. To truncate your data, just type “trunc(a1,2)”, where “a1” is a cell number and “2” is a quantity of numbers after dot. If you want to edit other cells in a column, then left-click in the lower right corner of the cell with the formula, hold and drag it down. Now you know how to truncate excel data.